Dillon must find a brutal killer, but the woman who might have helpful information is too terrified to talk. Events conspire to put Kitty in danger along with the woman. But Kitty is a gal who can take care of herself. They really should have left the girl out. Not that Amelita Ward, who plays the love interest in 1943's Aerial Gunner, isn't nice to look at. She is. And she's a perfectly good actress. It's just that she wasn't needed in this particular film. 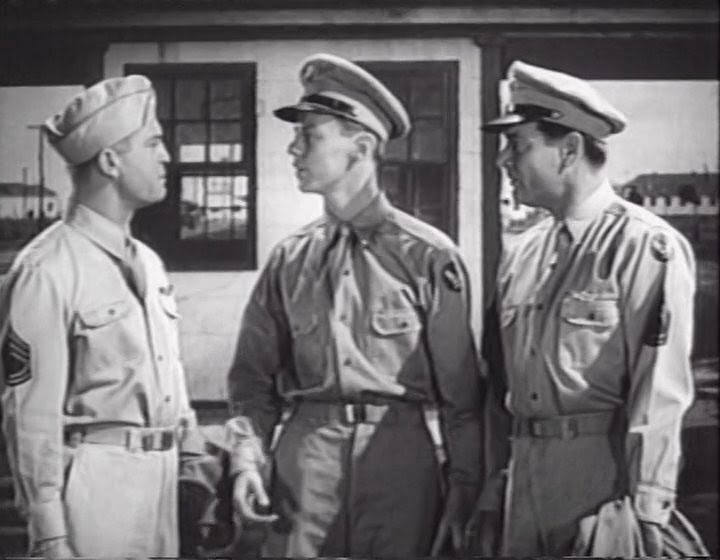 Aerial Gunner, produced by Paramount's B-movie unit, is pretty much a recruitment film for the Army Air Forces, preaching for the need for trained aerial gunners. This is fine--as long as the story wrapped around all that is a good one. The story here is largely pretty good. Richard Arlen plays Jon Davis, who was a cop before the war. Chester Morris (who is always fun to watch in a B-movie) is "Foxy" Pattis, the son of an ex-con who blames Arlen for his dad's recent suicide. When war breaks out, Davis enlists. Pattis is drafted, but parleys his sharpshooting skills into an "easy" job as an instructor at gunnery school. Davis is a trainee at the school. Pattis, still feeling an old grudge, tries to wash him out, pulling several less-than-ethical tricks to do so. But Davis sticks with it. So does fellow trainee Sandy Lunt, who is desperate to make good despite an apparent lack of skill as a gunner. Lunt, by the way, is played by Jimmy Lydon. When this movie was made, Lydon was also playing teenager Henry Aldrich in a series of films based on the popular radio comedy. So it's kind of fun watching him blast away with a double-barreled .50 caliber machine gun. The bulk of the movie takes place at gunnery school, giving us a fairly realistic depiction of training. For some, this might be a legitimate reason for thinking the movie drags a little. But I found these scenes to be historically interesting and cool to look at in terms of equipment and airplanes. And, since my taste in such things is clearly impeccable, that ends that argument. Well, despite the unnecessary flapper, the story moves along nicely. We even get a brief cameo by Robert Mitchum in an early role. Actually, there is one more glitch. Davis is narrating the film. When he graduates from gunnery school, he tosses in a quick line about getting his commission soon after that, so when the movie jumps into the war in the Pacific, he's suddenly a pilot. It was an awkward transition in a movie that is otherwise perfectly sound in terms of plot construction. Davis has several of his classmates from gunnery school in his crew as they fly bombing missions against the Japanese. Their plane is a Lockheed Ventura, which in real-life was regulated to training and patrol missions, since it wasn't adequate for bombing missions. But it's what the Air Force had available to let the movie crew use, so we'll be forgiving in this regard. Besides, the Ventura looks a little like a B-25, which would have been a more realistic choice. So we can pretend it is a B-25 and move on from there. 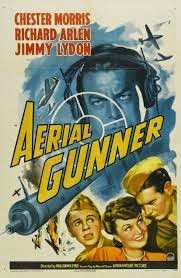 Aerial Gunner is in the public domain, allowing me to include the movie in its entirety at the bottom of this post. I think its worth your time to watch it, but be aware of its faults. And remember--if you don't have my impeccable taste and don't find the gunnery school sequences as interesting as I do--then you might get a bit bored. How Many Aliens with God-Like Powers Can One Galaxy Hold? Speaking of alien races with god-like powers: in just the first season of Star Trek: The Original Series alone, we had the Thasians ("Charlie X"), the Organians ("Errand of Mercy"), The Talosians ("The Menagerie"), the unnamed race that built a thought-powered pleasure planet ("Shore Leave"), Trelane's race ("The Squire of Gothos"--retconned in an Expanded Universe novel to be a member of the Q), the Metrons ("Arena"), and the race that built the Guardian of Forever ("The City on the Edge of Forever"--though those guys seem to be extinct). Later seasons tossed in several more god-like races, including the actual Greek god Apollo. It seems our galaxy is stuffed to the brim with these guys. You literally can't stop at a random asteroid to collect a few rock samples without practically tripping over yet another god-like race. 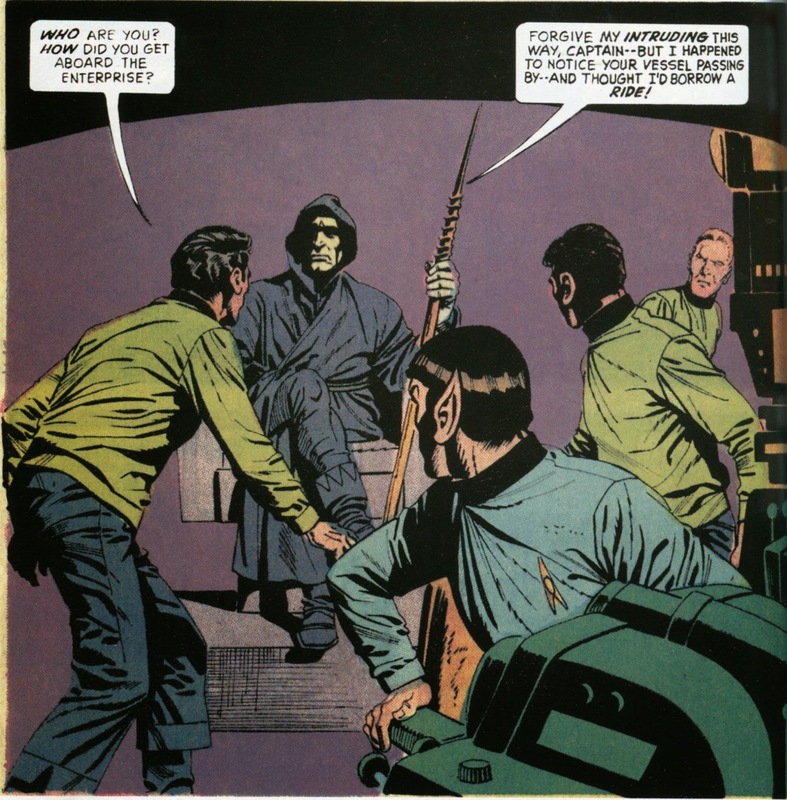 So, in Gold Key's Star Trek #13 (Feb. 1972), I really don't know why Kirk and his bridge crew are surprised when a creepy guy in robes suddenly appears in the captain's chair and takes over the ship. It's the sort of thing that happens to them all the darn time. Creepy guy goes by the name of Nomad. He comes from a planet that had achieved peace and prosperity, with robots doing all the labor. Bored with this, he left the planet and spent time wandering about the galaxy, observing different races and learning many things. The two pages in which Nomad gives us his back-story are wonderful. Both Len Wein's script and Alberto Giolitti's art hit just the right mix of wonder and bittersweet loneliness. Nomad has hijacked the Enterprise because he now wants to go home. But he is very friendly about it, returning control of the ship to the crew the moment they arrive at his home planet. The whole hijacking thing is then conveniently forgotten when Spock realizes they have just seeked out a new civilization. So Nomad brings Kirk, Spock and McCoy to the surface so they can look around. This does not go well. 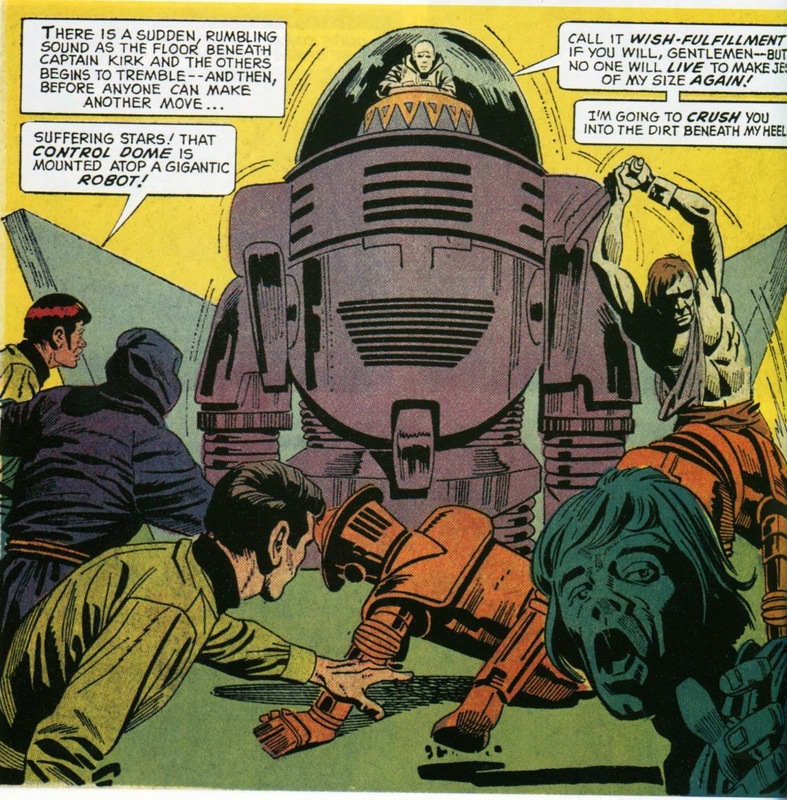 Nomad's race has been enslaved by their robots, who in turn are being controlled by Nomad's power-mad brother Niklon. The robots are immune to phaser fire (though Nomad takes out a few with his staff before it runs out of power) and communications with the ship has been blocked. The good guys are all captured and tossed into a dungeon with the rest of Nomad's people. But Kirk and Spock have quite a lot of experience in escaping from dungeons. 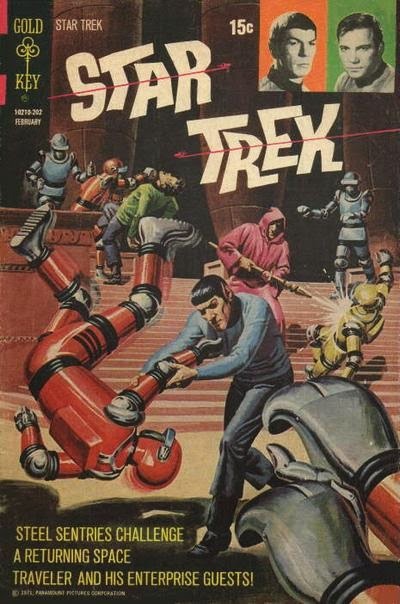 Within two panels, the Vulcan rigs up a trap to electrocute their robot guard and (with Spock wearing the robot's "skin") the freed captives attack Niklon's headquarters. At first, the battle goes against them, but Nomad is able to retrieve his now-recharged staff and turn the tide. This is a good, solid science fiction adventure story with imaginative art and a lot of great action. But the best part--overshadowing the rest of the tale--is Nomad's all-too-brief back story. I really, really like that part. I wouldn't have minded a spin-off series in which we followed Nomad around during his wanderings. Though perhaps that was just as well. There's far too many god-like aliens scampering around the galaxy already. One day, they'll get together and unionize. Then where will the rest of us be? Great cover by Herb Trimbe. Very skillful composition to fit so much into it without seeming cluttered. A man reports his wife is missing, but the evidence soon begins to point towards murder. 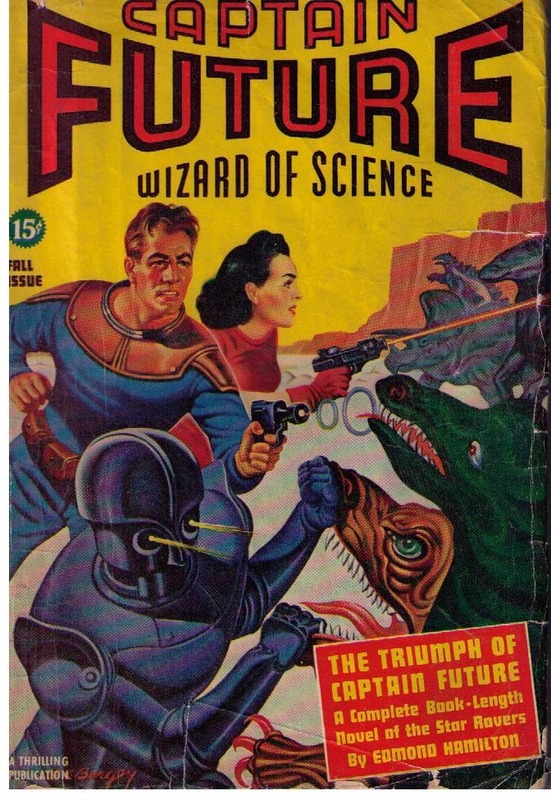 Captain Future's fourth adventure (cover dated Fall 1940) has a different vibe to it from the previous three. This time, the bad guy isn't trying to overtly conquer the Solar System. Instead, he's just trying to make a ton of money. The villain--known as the Life-Lord--has found a Fountain of Youth on one of the worlds in our system. If you drink some of the water from it, you become young again. But its highly addictive, so you have to keep drinking it or you'll abruptly re-age and die. The Life-Lord gets people hooked, then drains them of all their wealth to keep them supplied. 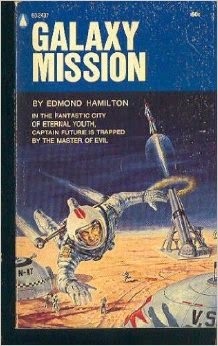 Mission when republished as a paperback. The set-up seems like a deliberate metaphor for drug addiction. That seems just a little bit odd for a story from 1940--certainly drug addiction existed, but it wasn't in the public eye anywhere near to the degree it would be a decade or two later. So the metaphor might be accidental. In either case, the story is a good one, playing out like a police procedural. 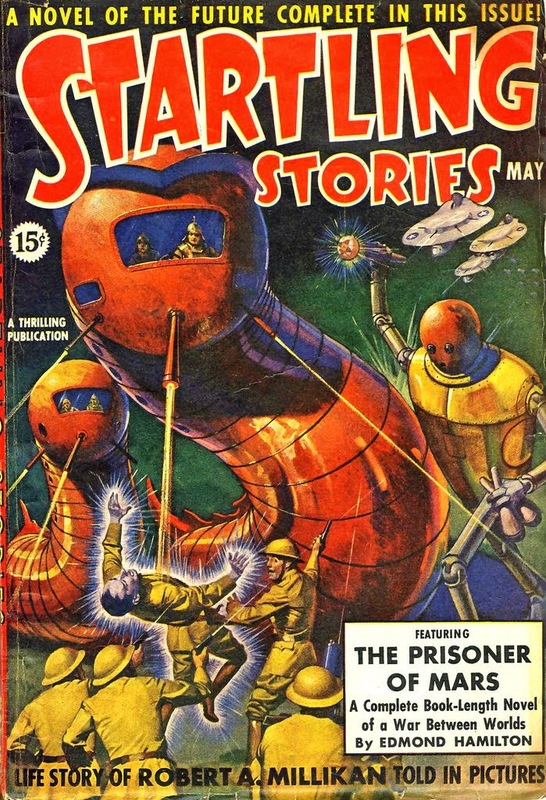 Captain Future and gang start on Venus, setting up a sting operation to catch one of the Life-Lord's pushers. This goes awry and Grag the Robot is captured. Grag's escape involves blowing himself into space, then getting rescued by a passing space liner. Circumstances require him to pose as a nearly-mindless automaton and he's claimed by a guy who runs a traveling freak show, which is performing on Mars. Grag's exit from the freak show is truly hilarious. By this time, Captain Future is also on Mars, following a clue that takes him to the Machine City--a city run by robots whose organic masters died off millennia ago. 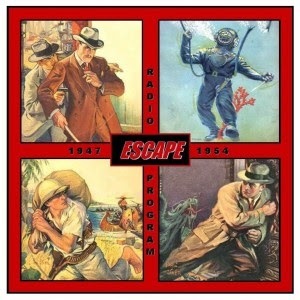 From here, the next clue takes him to Saturn, where the villain at one point releases various creatures from a zoo in an attempt to kill the hero. There is more investigation, a couple of murders and a nice twist at the end involving the Life-Lord's true identity. Future finds one hide-out in the poisonous Fungus Forest, then eventually finds the location of the source of the drug in yet another supposedly inaccessible area of the ringed planet. I really like the balance Hamilton strikes with this story. It is indeed a police procedural, but Space Opera elements are still there to fire up our imaginations as the story progresses. "Guide my hand, my father--as I avenge your death!" It was the most awesome accomplishment in the history of mankind! I'm talking about Power Records, of course. If anyone ever uses the phrase "most awesome accomplishment in the history of mankind," the thoughts of any thinking person naturally goes to Power Records. Power Records was a sub-label of Peter Pan Records, which specialized in children's music. Power Records branched off into comic books and TV shows. What you did was buy the P.R. 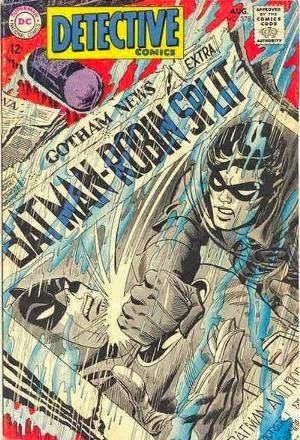 adaptation of a Marvel or DC comic book, which came with the comic AND a 7" record dramatizing the sound effects and dialogue. Then you could read along as the story was acted out for you. When I was a kid, I leaned more towards Marvel than towards DC (my preferences balanced out as I got older), so either I didn't pick up the DC adaptations, couldn't afford them or simply didn't see them at the store. But I (or my younger brother--don't remember which of us it was) ended up owning at least four of the Marvel Comics records--Dracula, Spider Man, Hulk and Captain America. 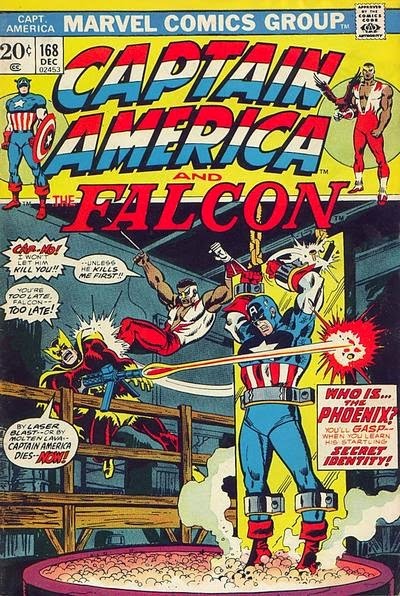 The Cap record was from Captain America and Falcon #168 (December 1973), a great story written by Roy Thomas and drawn by Sal Buscema. I'm pretty sure I'd already read it when it first came out, but getting it with a soundtrack was a singularly amazing way to re-visit the story. It starts out with Cap feeling a little down--he is, after all, a man out of time and its understandable that this would make him feel out-of-place from time to time. But this time, the feeling is precognitive, since a threat from the past is about to explode into the present. 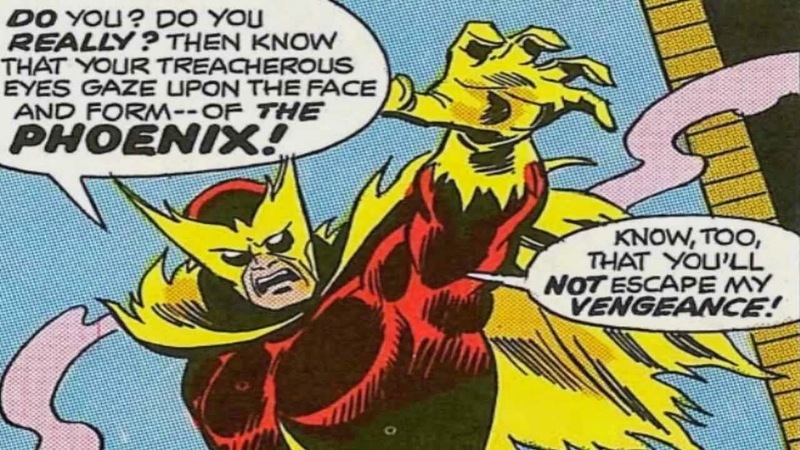 A new villain called the Phoenix, who wields a death ray, attacks Cap. He claims to be looking for vengeance, but as far as Cap knows, he's never met the guy before. The first encounter ends when the Phoenix's ray gun runs out of juice and he runs for it. But on his next try, he captures the shield slinger and slaps him into a death trap. It turns out the Phoenix is Helmut Zemo, the son of the original Baron Zemo, out for revenge. His death trap involves lowering Cap into a boiling vat of Adhesive X, his dad's greatest invention. But Falcon shows up in the nick of time. During the ensuing fight, Helmut falls into the vat himself. There's a few contrived elements to the story--Falcon survives the first fight through dumb luck when Helmut's gun runs out of power (after just a few shots). Cap's plan to track his new adversary down involves just jumping around the rooftops until he gets attacked, which doesn't seem particularly clever. But those are minor points. The plot is otherwise well-constructed. It's the emotions behind it that give the story real backbone. Cap's depression is realistic, but its not over-played; nor does he allow it to interfere with his fighting abilities or sense of duty. Helmut's monologue, in which he reveals his identity and gives us his background, is exceptionally well-done. It actually allows us to feel a level of pity for someone who had a horrible childhood and lost both his parents, but does this without excusing his actions as an adult in the slightest. Which makes Cap's reaction to Helmut all the more awesome. 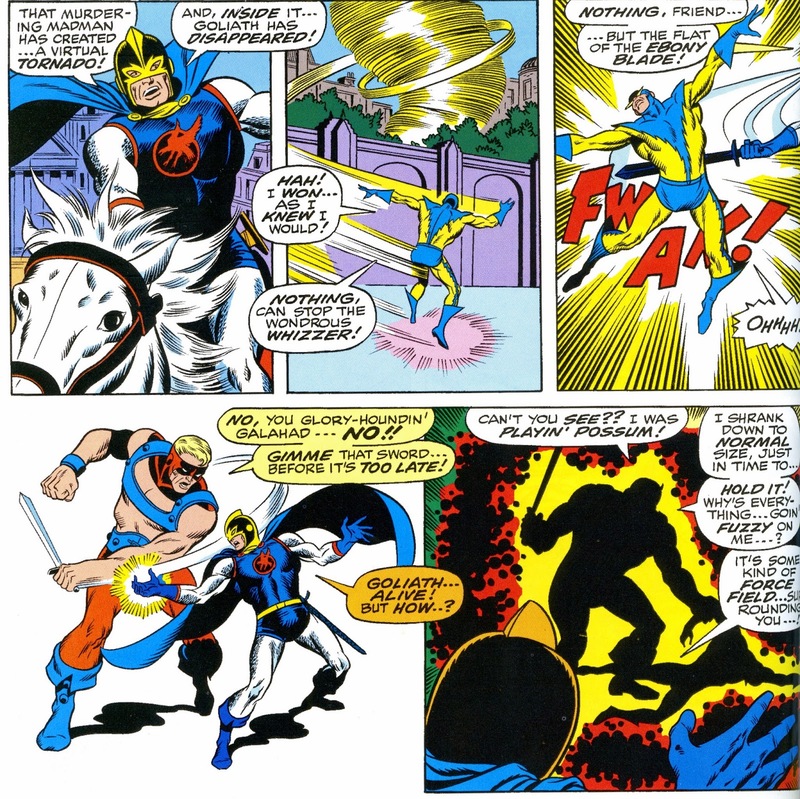 Helmut is obviously insane and trying to kill the hero, but Cap simply wants to stop him without hurting him. He sees Helmut as yet another victim of the war. He has to be stopped, of course, and certainly needs to be jailed or institutionalized, but Cap's first reaction is one of compassion and a desire to help. And all this directed towards a man who was actively trying to kill him. This is why Captain America, when he's written by someone who gets the character, is one of the best superheroes ever. He does not fight for revenge or love of adventure, but he fights to protect the innocent. His entire character is driven by doing what is right, while his sense of right and wrong is centered on helping those in need. You can argue, as Falcon briefly does during the story, that Cap's timing is a little off. Let's capture Helmut and make sure he can't murder anyone--THEN see about getting him help. But Cap's motivation is sound. I want one of those worm-robot things. Don't you hate it when time warps cause you to get packages delivered to you from the future? Meek and mild Sam Webber gets "Build-a-Man" set delivered to him at his apartment. But maybe if he builds a more outgoing and personable version of himself, he might win the hand of the girl he loves. What could possibly go wrong with a plan like that? In 1934, the movie version of Perry Mason was based in L.A. (as he was in the novels) running a huge law firm with scores of employees (as he did NOT do in the novels). But I guess he got tired of this, because when the curtain rises on the second Mason film (1935's The Case of the Curious Bride), he's working in San Francisco and no longer seems to be associated with a large firm. Della Street is still with him, of course, because Perry Mason simply cannot exist in any incarnation without Della at his side. The universe would implode if this weren't the case. When I reviewed the first film, I mentioned that Erle Stanley Gardner was unhappy with this films. And, again, it's easy to see why. This Perry Mason is similar to the original in one important way--he'll go all out for his client. But otherwise, it's a completely different guy. The movie Perry is a lot more prone to make off-the-cuff jokes, is said to be a ladies' man, and is a gourmet cook. I don't recall the original Perry ever so much as cracking an egg. But Warren William always infuses his B-movie roles with humor and charm. I'm a huge fan of both the novels and the classic TV series, but I simply can't find it in my heart to be annoyed with these films. They're simply too much fun. The plot does follow the novel it's based on with reasonable faithfulness. Perry's client is Rhoda Montaine, who has re-married after her first husband supposedly died. But husband #1 faked his death and is now blackmailing Rhoda. So when he turns up dead for real, the cops peg Rhoda for the crime. When she's badgered into signing a false statement to catch her in a lie, the cops use this to "prove" her guilt. So Perry has to catch the real killer to prove Rhoda is innocent. Helping him, by the way, is an ex-boxer who now works as Perry's Man Friday, driver, assistant investigator and part-time comic relief. This is "Spudsy" Drake. Spudsy? Poor Paul Drake. He is key part of the triumvirate of protagonists that make the novels so good, but despite this he didn't appear at all in the first film. Now he finally shows up, only to get stuck with an annoying nick-name. But Spudsy is played by Allen Jenkins (who played a cop in the first film). 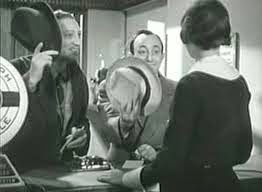 Jenkins was a character actor who made a career out of playing stooges and henchmen, usually giving those characters a comic bent. But he gave a nice balance to the comedy, never taking it too far and always making sure we would know that his characters were competent. For fans of classic films, Jenkins is one of those actors who gets to be an old friend. The homicide cop who clashes with Perry in Curious Bride is played by Barton MacLane, yet another old friend to movie fans. 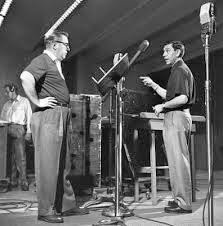 There's a bit of irony here--later in the 1930s, both MacLane and Jenkins would get chances to play homicide cop Steve MacBride in the Torchy Blane movies. One more interesting bit of casting: The murdered husband is played by Errol Flynn, who was about to become a star that same year when he played Captain Blood. 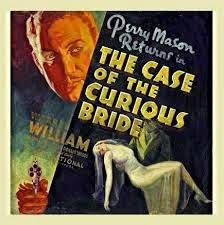 Both Curious Bride and Blood are directed by Michael Curtiz. 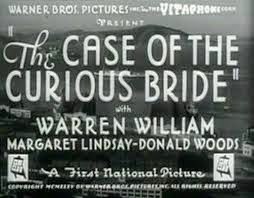 I know coincidences like this aren't that unlikely in the Studio Era days, but gee whiz, The Case of the Curious Bride is the starting point for some cosmic-level game of "six degrees of separation." Some of the changes from the novel reflect the differences between storytelling in the different media. Some of the changes seem random--why San Franciso? Did Warner Brothers have some new stock footage of the city they wanted to use? But in terms of story, it's a solid mystery, with Perry's investigation moving along in a logical and satisfying way. Like all good B-movies, the pacing is brisk, the cast is fun and the story is sound. Oh, well. Warren William may not be the "real" Perry Mason, but, by golly, we still have a good time hanging out with him. And we'll hang out with him some more. There's still two Mason films starring W.W. for us to take a look at. The Horse No One Could Tame! 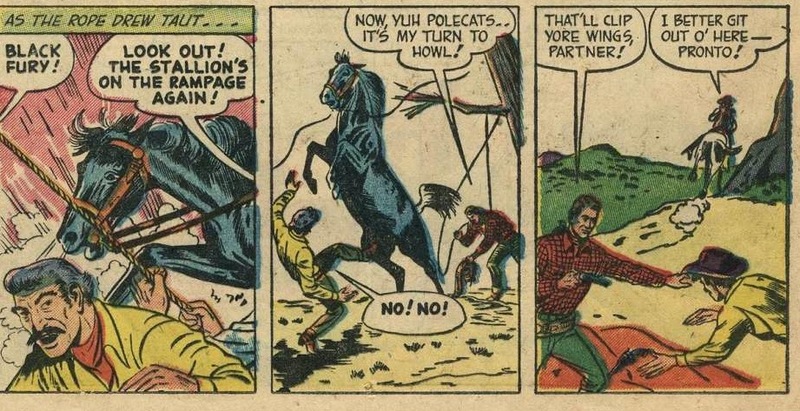 There were quite a few comic books starring animals during the Golden and Silver Ages. Many of them were published by Dell--Silver, Champion, Trigger, Rin Tin Tin and Lassie were among that crowd. 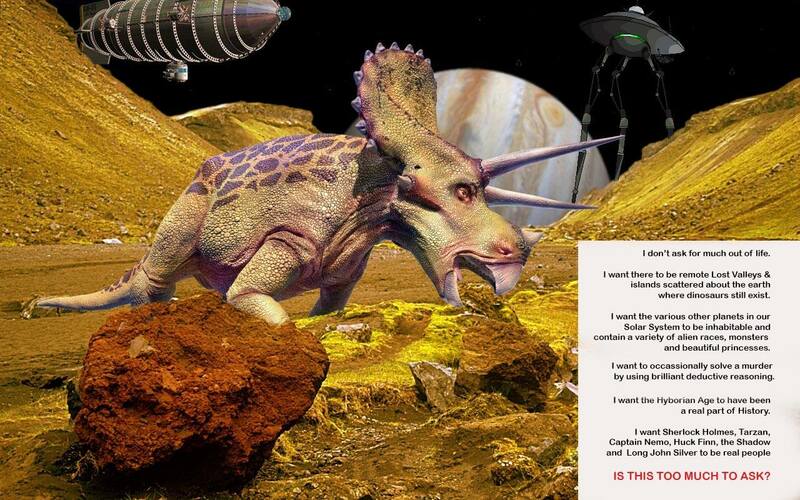 But other publishers jumped aboard the animal-as-star bandwagon. 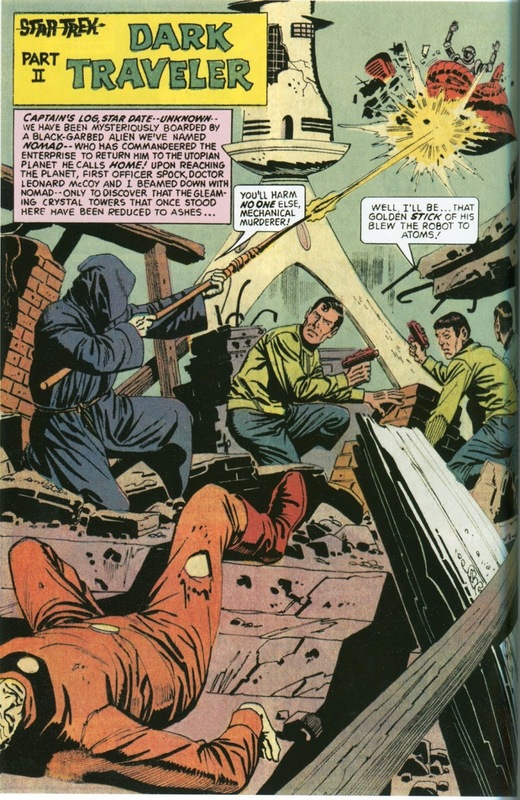 Charlton, for instance, gave us Black Fury #1 in May 1955. 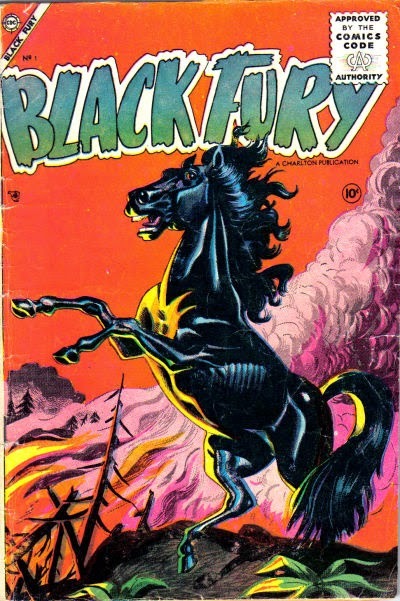 The ebony horse had a 57 issue run, with the final issue coming out in 1966. Making a horse the star of a Western fits the stories into a relatively narrow template in terms of characterization--the horse is always stronger, faster and smarter than the average horse, showing pretty much human intelligence in his actions. Everything that happens in any one story is predicated on that being true. But within that template, a good writer could come up with a fair amount of variety. Black Fury's deal was that he hated humans. In fact, according to a caption in his first story, he's "consumed with a burning hatred for man." But, as it turns out, he is willing to make temporary alliances and he's quite capable of feeling gratitude towards a man or woman who helps him out. Just don't expect him to wear a saddle permanently. Fury's premiere story opens when a saddle tramp named Cliff is lassoed and captured by a masked gunman. The gunman ties Cliff to a tree, rides off on Cliff's horse, then returns an hour later to give Cliff his own horse back. An attentive reader will probably figure out what's going on quicker than poor Cliff does. The outlaw used Cliff's horse to rob a bank, so the pursuing posse is now looking for that horse rather than the one the bad guy gets back. It's not a bad plan and Cliff soon finds himself captured by the posse. Cliff makes a break for it and does the old "jump-off-a-cliff-into-a-river" trick to get away. 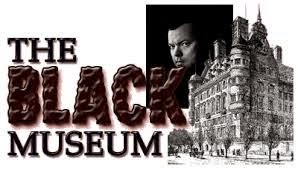 Later, he joins up with a group who are trying to capture a famous wild horse named Black Fury. Shenanigans follow, as Black Fury keeps outrunning or just plain outsmarting the men. 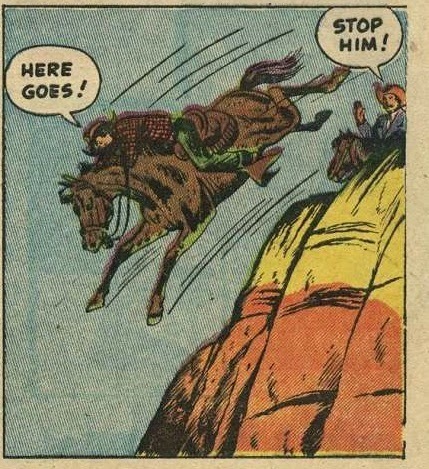 Finally, Cliff comes up with a plan that allows them to finally catch the horse. But he soon learns the group he's fallen in with won't win any ASPCA awards. When Black Fury refuses to be ridden, one of the men starts to whip him. Cliff objects to that, only to then find out the leader of the group is the outlaw who framed him for robbing a bank. Cliff is about to be lynched, but Black Fury (freed by Cliff ) doubles back to save him. 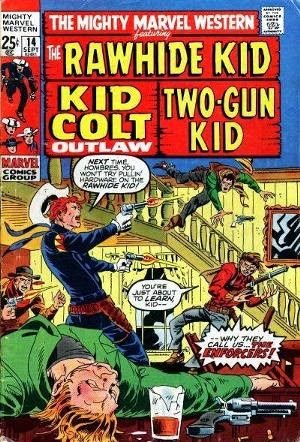 Cliff and Fury then team up long enough to run the leader down, who by now is so terrified of the horse that he confesses his guilt regarding the bank robbery. The story ends with Cliff setting Fury free to run wild once more. The writer is not credited (the art is tentatively credited to Stan Campbell). But whomever wrote it knew what he was doing. I'm impressed by how well constructed and paced the story is. A lot of stuff happens over the course of just 11 pages. The tale is essentially divided into three acts--Cliff getting framed and escaping from posse; Cliff and the others trying to capture Black Fury; Cliff and Fury teaming up to save each other and capture the bad guys. But the events never seem rushed, with one act flowing smoothly into the next. Though the outlaw leader's confession is a bit contrived, the script and the art otherwise meld together nicely into a fast-moving and satisfying tale. Black Fury isn't as famous as Silver, Trigger or Champion, but he earned the right to hold his head high while riding alongside them. You can read Black Fury #1 online HERE. All three of these covers are from 1968. 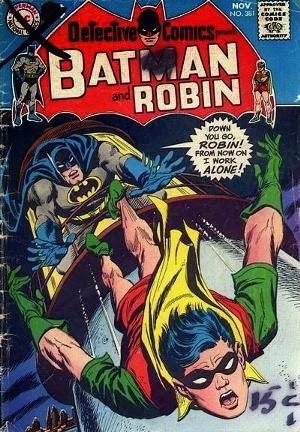 Apparently, Batman and the Boy Wonder had a rocky year. Out of the Country until next Saturday. As of today, I'll be in a fairly remote area of Guatemala for a week, teaching at a conference for local pastors. I've already have posts ready to go on the regular schedule this week, but my Internet access will be spotty and there may be a delay in approving any comments that anyone leaves. Please be patient if you leave a comment--it WILL post eventually. Two men are living their dream--sailing a boat around the Caribbean & making out a living carrying cargo between the islands. But when they are mistaken as arms smugglers by local revolutionaries, their dream quickly becomes a nightmare. I discovered the novels of Alistair MacLean when I was maybe 11 years old. I saw the movie version Where Eagles Dare on TV and loved it, not just for the complex and fascinating plot, but also for the image of Clint Eastwood duel-wielding Schmeisser submachine guns while single-handedly holding off hordes of Nazis. Seriously, who DOESN'T love that part? By coincidence, I saw the novel on the drug store spinner rack a few days later. I happened to have some paper route money, so I immediately bought it, read it and loved it even more than the movie. After that, for Christmas and birthdays, I could give my parents a list of Alistair MacLean novels I hadn't read yet and say "I'll take any of these." MacLean lost his mojo by 1977 with the awful novel Seawitch (though some would say he lost it a few books earlier). 1984's San Andreas isn't bad, but otherwise books from the late 1970s and 1980s had lost the feeling of excitement, suspense and surprise that filled his earlier books. But when he was good, MacLean was great. A few of his early novels stand out because they contain elements of tragedy. And for a writer who often specialized in smart-aleck protagonists pulling off wild schemes, it's interesting to see effectively he pulled off tragedy. 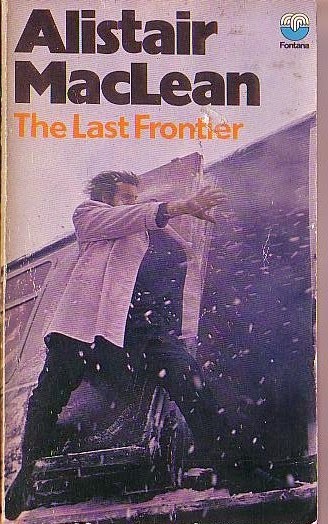 1959's The Last Frontier is set in Hungary, which at the time was ruled by a repressive Communist regime and--a few years earlier--had suffered horribly after the Russians sent tanks in to crush an uprising. The ensuing story is laced with real tragedy as it takes a hard look at a people being crushed by a dictatorship, all leading up to a bittersweet ending. 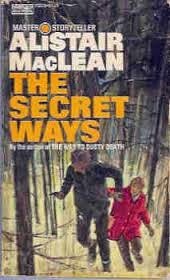 The novel, by the way, was titled The Secret Ways in most U.S. printings. A British agent named Michael Reynolds is sent into Hungary to rescue a scientist named Jennings, who defected to the East but might now have reason to regret that decision. Reynolds is a complete professional, trained to set aside his feelings and do his job as coldly and efficiently as he can. But remaining cold and unemotional is pretty much impossible after he hooks up with Jansci, a former Ukrainian general who now runs an underground operation dedicated to smuggling people out of the country. Jansci is, well, he's awesomely cool. Despite a tragic life that's left him with horrible physical scars--after seeing most of his family killed by the forces of tyranny--he still wants nothing more than peace for his fellow man. He doesn't really care about politics. He simply wants to help suffering people get to some place where they no longer need suffer. It is impossible for Reynolds to work with Jansci without being at least partially infected by the man's intense empathy. Jansci's organization includes "The Count," a trusted officer in the Hungarian secret police who uses his position to covertly help people; Jansci's pretty daughter Julia; and Sandor, a big and impossibly strong man who's loyalty to Jansci is complete. Sandor is a character type MacLean loved to include in his novels--a big, strong but still intelligent man who would generally get to do something epically cool before the novel ends. Sandor has several such moments, culminating in an intense hand-to-hand fight against an equally strong secret policeman. Reynolds is captured, rescued, captured again, rescued, captured once more, tortured and rescued before he finally gets a chance to save Jennings. This involves crawling over the icy slick roofs of several train cars during a blizzard. But even after this, a final confrontation with the secret police is waiting for him. During this confrontation, Reynolds and his allies will be faced with making a horrible choice. MacLean injects an atmosphere of palpable danger and tension into the story, as well as describing the cold weather so vividly it would make you shiver even if you were reading it at the beach on a hot day. Each of Reynolds' successive rescues is undeniably more outlandish than the previous one, but MacLean had a talent for making the outlandish seem real. This talent is tied closely to MacLean's characterizations; most importantly to his ability to make us believe Reynolds' allies are truly awesome. When the Count, for instance, acts with extreme cleverness and daring to save the day, we really believe that he's just that good. In fact, for much of the novel, Reynolds is practically just an observer, with Jansci and his friends doing much of the cool stuff. It's only when the chance to rescue Jennings finally arrives that Reynolds really steps to the forefront and becomes the true hero of the story. But even then, he must depend on the others. The Count and Sandor both play key roles in the final action scenes. 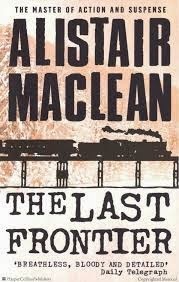 There is one aspect of the novel that some MacLean fans criticize. Several times, the action pauses while Jansci expounds on his views of mankind, tyranny and world peace. He's obviously being used as a mouthpiece for what MacLean had to say about all this--and that's fine. I think these speeches help establish Jansci's character and carry real emotion. But their insertions into the story are a little contrived and I understand why some readers might dislike them. An arguable flaw found in a few of MacLean's early novels is a tendency towards melodrama. Jansci's sudden speechifying and a few other elements of The Last Frontier can be said to be a symptom of this. But even if a reader does sometimes wish Jansci would stop talking, The Last Frontier is still a riveting espionage yarn and its tragic elements give it real heart. The idea of the Elders of the Universe evolved in an interesting way. 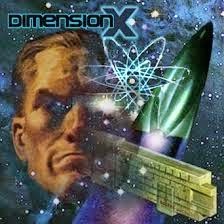 The loosely-affiliated group itself is a great concept--each members is the last survivor of his race; and each of their races was one of the first to appear after the universe was created. Each has now had millions of years to develop nigh-godlike powers. Each of them has developed his own theme (or, more accurately) obsession. The first Elder we meet is in Avengers #28. This is the Collector--who's theme is, well, collecting stuff. Including living beings. At the time, the Collector wasn't identified as a member of a group. Neither was the second Elder we meet. We learn about the Elders in a retcon from Avengers #178 (August 1978). It was one of those inspired retcons that fits perfectly into what we already know and enriches the history of those characters involved. It opens the door for having an array of characters with different themes who can be called upon to appear whenever a story requires it. Anyway, we meet our second Elder in Avengers #69 (October 1969). This is the first of a three-part arc written by Roy Thomas, with strong art by Sal Bucsema. 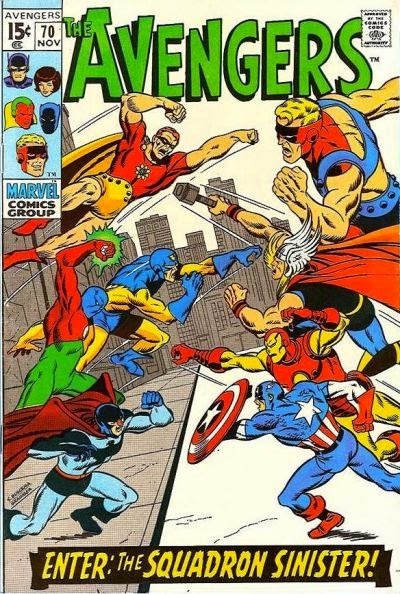 It's a fun story, structured around an idea that gives the Avengers (both as a group and as individuals) to get into fights with a nifty array of opponents. It begins with the Avengers visiting a badly injured Tony Stark in the hospital (Tony having been hurt over in his own book). 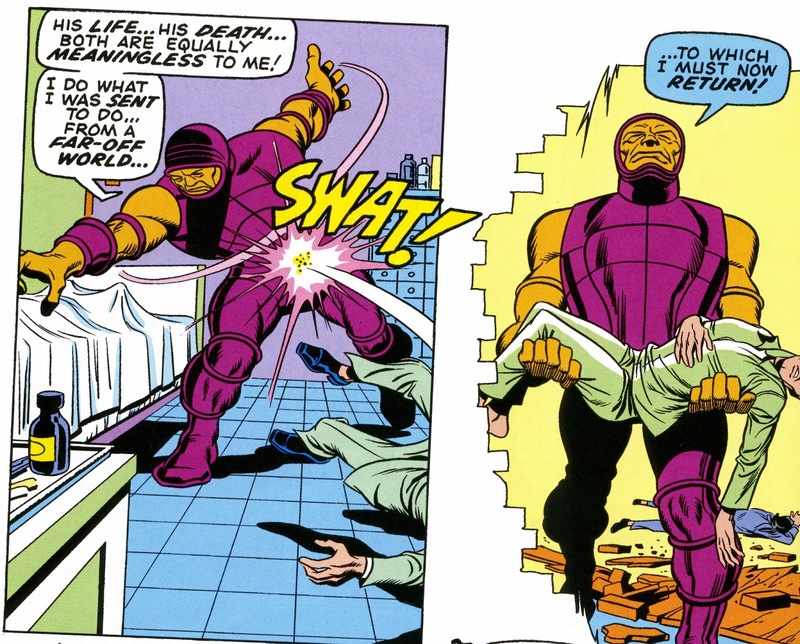 Kang's old henchman, the Growing Man, attacks and kidnaps Tony. The Avengers raise violent objection to this, only to have everyone involved zapped into the future to face off against Kang. The deal is this: The Grandmaster, who's thing is arranging fights and betting on the outcome, offers Kang the opportunity to pit champions of his (Kang's) choosing against Grandmaster's guys. If Kang wins, he'll get the power to revive his comatose girlfriend. If Kang loses, the Grandmaster destroys the Earth. Despite being annoyed with Kang, the Avengers agree to all this in order to save the world. It's a great plot device--simple, but justified by the Grandmaster's chosen method of passing the time for all eternity, AND giving Thomas and Buscema a logical excuse for choreographing a lot of cool fight scenes. This brings us to Avengers #70 and the introduction of yet another cool set of characters. 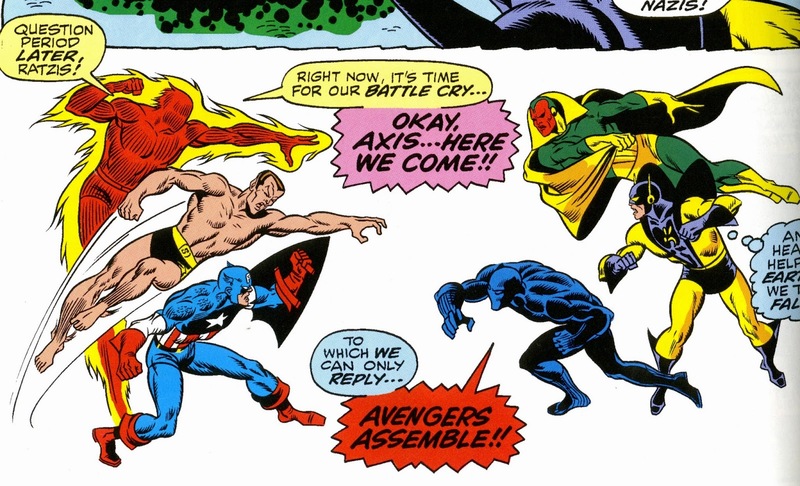 Cap, Iron Man, Thor and Goliath (Clint Barton using Hank Pym's growth serum) must individually face off against members of the Squadron Sinister, each of whom is an obvious expy of a member of DC's Justice League. Hyperion is Superman (though he comes from a micro-universe destroyed in an atom smasher), Dr. 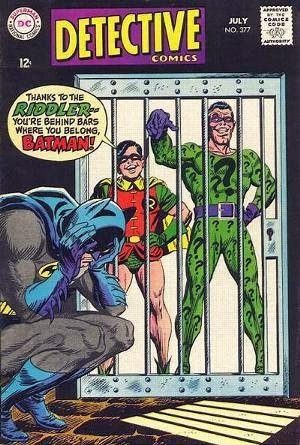 Spectrum is Green Lantern, The Whizzer is Flash and Nighthawk is Batman. The ensuing fight scenes are all exciting and well-choreographed. Cap beats Nighthawk in the first match-off. I love that. Though I am a huge fan of both Captain America and Batman, I always see Cap winning a fight between the two. So Cap taking down an ersatz-Batman is very satisfying for me. Iron Man and Thor take down Spectrum and Hyperion, though it is possible to complain about the Deus Ex Machina that ends Thor's fight. He essentially asks Odin for a convenient new super power he never had before (and probably has never had since), allowing him to shrink Hyperion down and encase him in glazed sand. It's as if the book was suddenly being edited by Mort Weisinger. Things go awry during the Goliath/Whizzer fight, which is taking place in London. The Black Knight is nearby and sees the battle. From his point-of-view, it's perfectly reasonable for him to jump in and help the good guy. He does so, but this nullifies the entire contest. 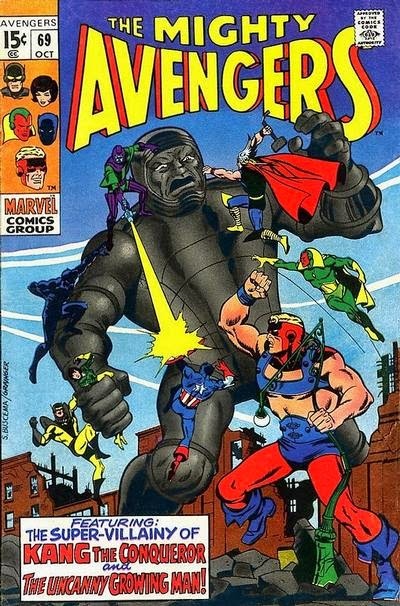 The Avengers are all returned to the 40th Century, with Goliath still holding the Knight's sword. That's a plot point, since the Black Knight will use his mystical connection to the sword to time travel to the Avengers in the next issue. Avengers #71 allows Roy Thomas to indulge in his love of Golden Age heroes. 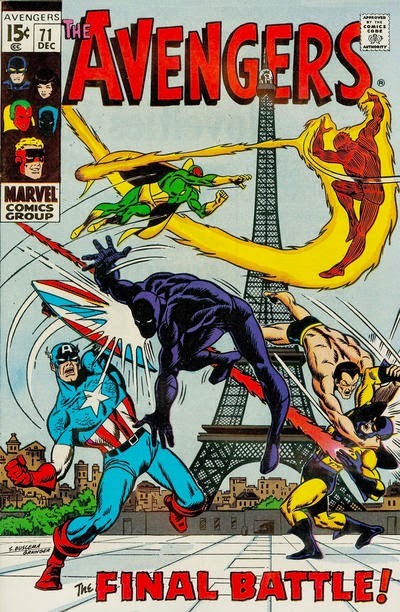 The re-vamped contest now involves Black Panther, Vision and Yellowjacket being zapped back to occupied Paris in 1941, where they have to face off against pre-frozen Captain America, Namor and the original Human Torch. Being a fan of the Golden Age as well (though no one can match Roy Thomas in his Golden Age fervor), I love this part. By the way, when Thomas wrote Invaders Annual #1 in 1977, we got to see this fight again from the Invaders' point-of-view. Thomas did have to contrive a reason for giving Cap back his triangular shield (which he hadn't been using in the Invaders), but otherwise the two versions of the story mesh nicely. Using several clever tactics, the Avengers win the fight. Meanwhile, the Black Knight has arrived in the 40th Century. This is important, because Kang isn't able to overcome his hatred of the Avengers even when the life of his true love is at stake. He demands the power to kill the Avengers as his prize rather than the power to revive the girl. 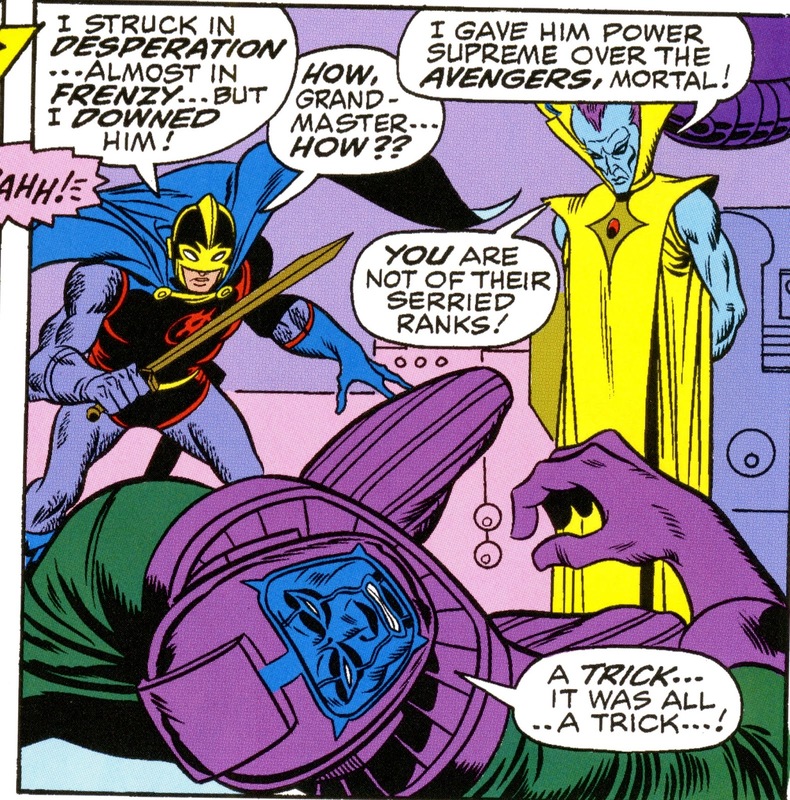 Unfortunately for Kang, the Black Knight isn't yet an Avenger--AND the Grandmaster is one of those "exact words" guys. So the Knight is able to knock out Kang. One can argue the ending wraps things up too quickly and conveniently--even with the element of surprise, Dane Whitman shouldn't have the raw power to take down Kang with one shot. 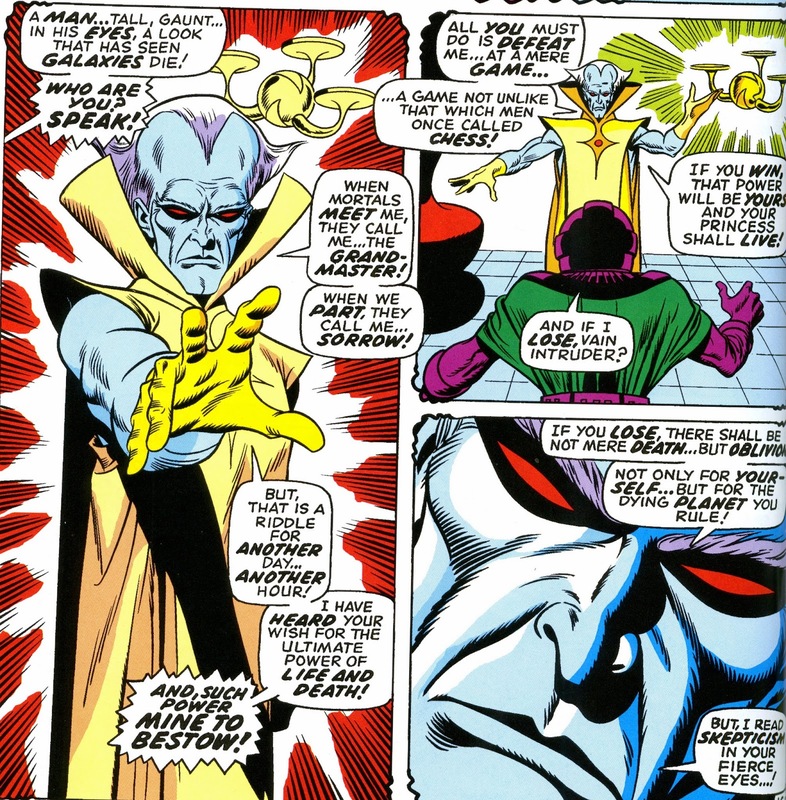 Also, I'm not quite sure how all this cancelled out Grandmaster's deal with Kang and allows the Elder to revive the Avengers and send everyone home. But these are arguable points. Overall the story does exactly what it's supposed to do. It constructs a plot that fits nicely into Comic Book Logic and builds on this to give us a series of really nifty fight scenes. 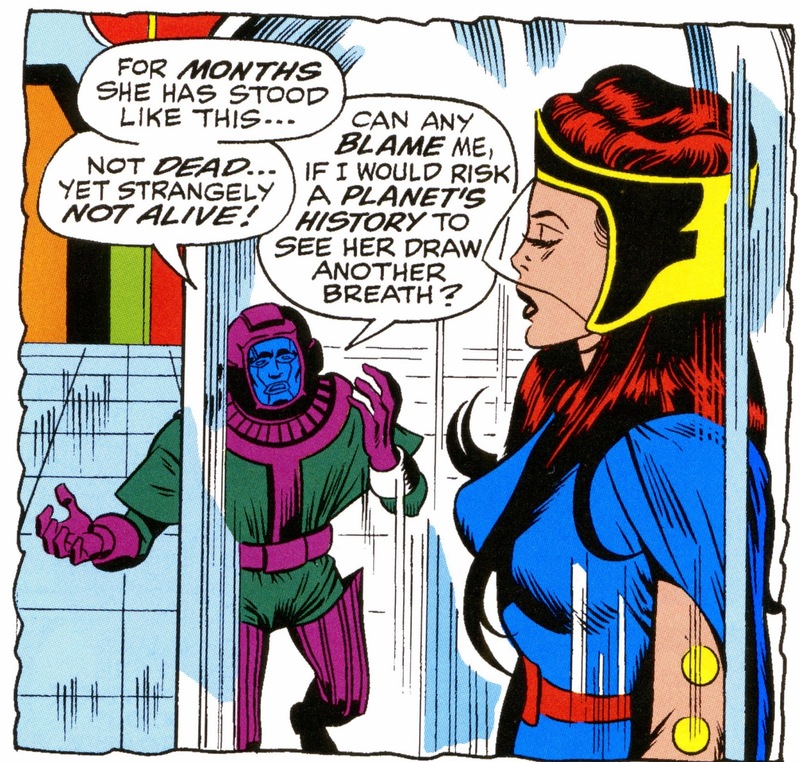 Kang's "give-life-or-give-death" choice provides some emotional impact and irony. 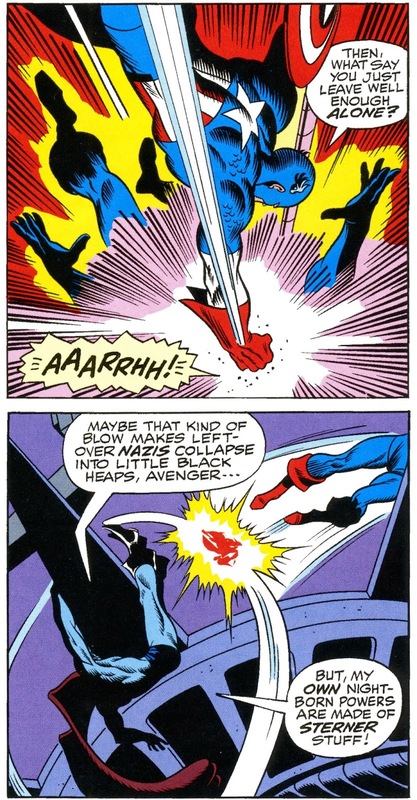 It's always nice to have emotional impact and irony, but gosh-darn-it, sometimes it's even nicer to see Captain America curb-stomp fake-Batman! 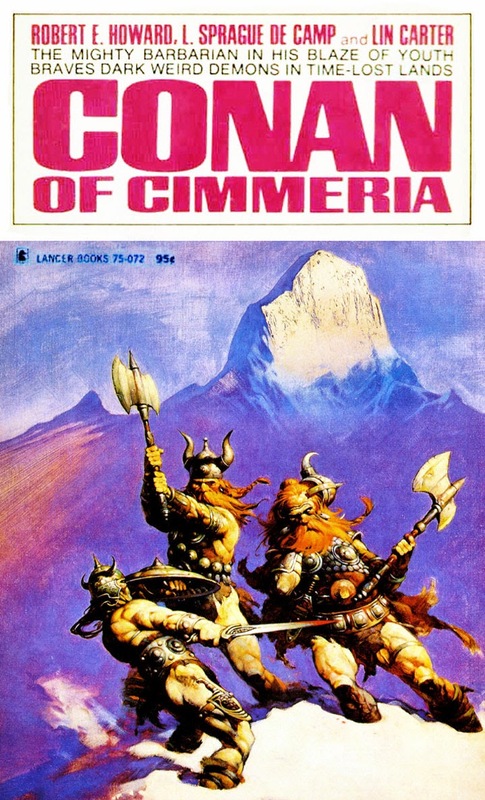 Classic Conan cover by Frazetta. A blood-stained bedsheet, an open porthole and a missing passenger aboard a ship adds up to either suicide... or murder.